The new paradigm hypothesizes that sugar has adverse health effects above any purported role as “empty calories” promoting obesity. 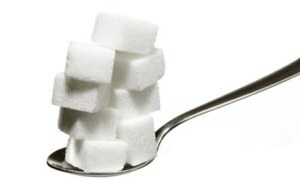 … Too much sugar does not just make us fat; it can also make us sick. I have written about the ravages of sugar previously. Check out A love Letter to Hostess Ho Ho/s – NOT for further details. A recent study found a significant relationship between added sugar consumption and increased risk of death from cardiovascular disease. A recent study reported in JAMA Internal Medicine found a significant relationship between added sugar consumption and increased risk death from cardiovascular disease. The new study is significant because previous studies have linked higher intake of added sugar with cardiovascular disease risk factors; this new study actually measured the association of overconsumption with increased risk of death, not just risk factors, from cardiovascular disease. By “added sugar overconsumption,” the authors refer to a total daily consumption of sugars added to products during manufacturing (ie, not naturally occurring sugars, as in fresh fruit) in excess of dietary limits recommended by experts. Past concerns revolved around obesity and dental cavities as the main health hazards.